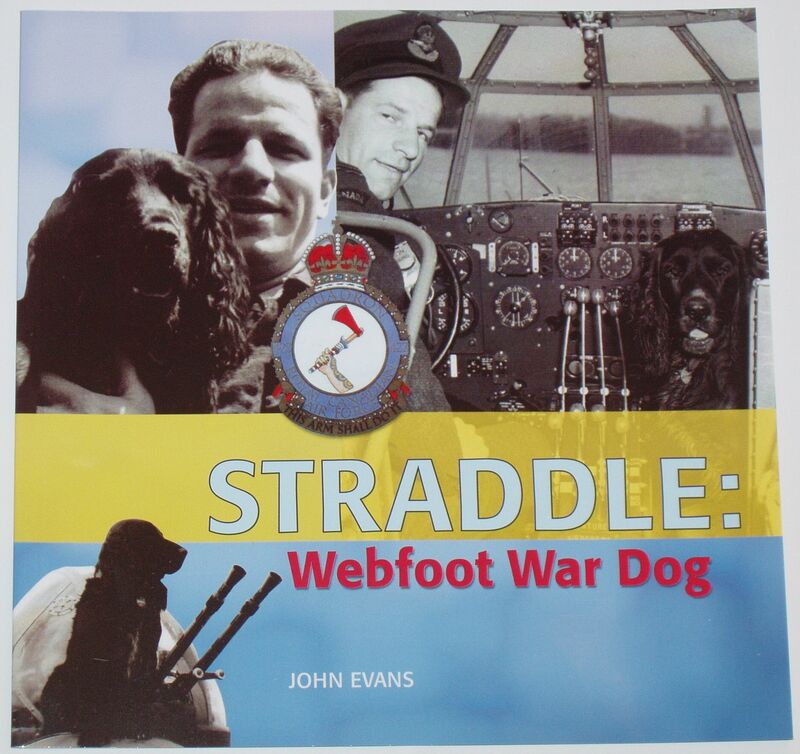 From the rear side cover: This short book tells the fascinating action-packed story of a great character - of ‘Straddle’ the Cocker Spaniel mascot of a Canadian Sunderland flying boat squadron in the Second World War. He even had his own logbook which charted his operational flights and his escapades! ‘Straddle’ raised hell at times, crossed paths with senior officers, was ‘Mentioned in Dogspatches’, was commissioned as ‘Pilot Officer Straddle’, was awarded medals, and after the war went to live in retirement in Canada! The book is illustrated throughout with lots of black and white photographs. Condition of the book is generally excellent. The covers are clean and bright, the spine is intact and all pages are clean, intact, unblemished and tightly bound. There is an old price printed and a small price sticker on the rear side cover, and the book has been signed by the author on the title page.